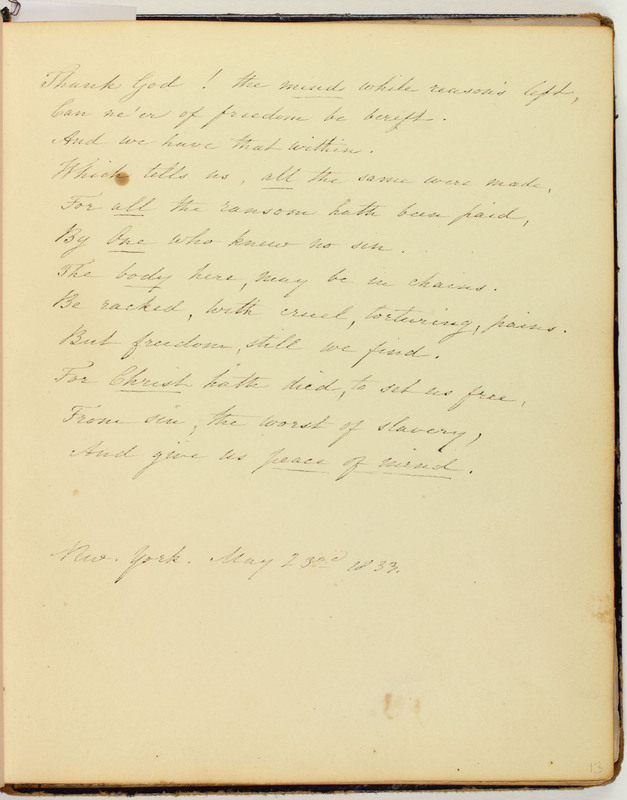 But I thought and words have fled to night. Be sure, the original is true. Susan C. Wright provided one of the most concise entries to the Cassey Album. Possibly she was more of an acquaintance to Cassey than the other contributors. 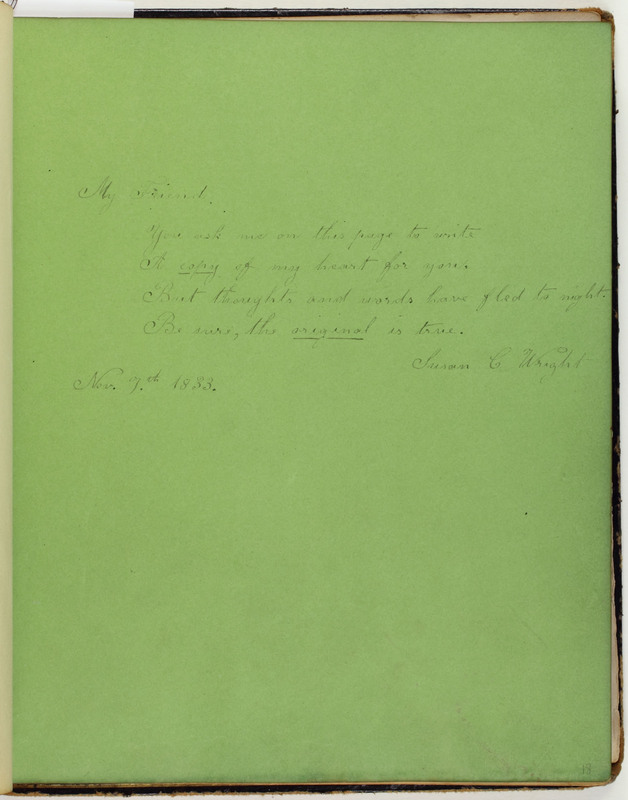 Alternatively, Wright’s claim that she is unable to “copy” her heart onto the page suggests her affection was too strong to be represented within the conventions of the friendship album.